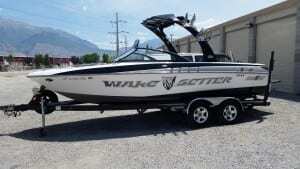 Boats have specific detailing and cleaning needs that vary greatly from a car, truck or SUV. These specific boat detailing needs should be attended to on a regular basis. Many parts on boats are fairly simple to maintain and protect, but if neglected or not taken care of properly can present large problems that are expensive and time consuming to repair. 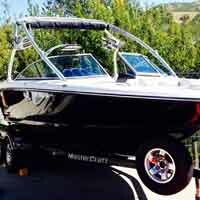 We have the proper knowledge and experience to detail a boat how it should be detailed. Our regular washing and detailing services for your boat, inside and out, will not only maintain its appearance but will help protect it from oxidation and other damages. 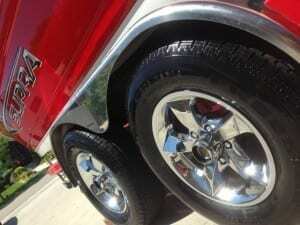 We can clean and protect any vinyl, metal, plastics, decals, fiberglass or gel coat that it has. 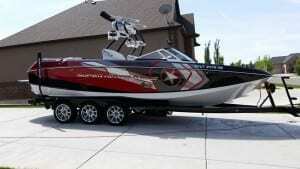 This includes maintaining the boat’s trailer and wheels. In addition to resisting oxidation and being more stain-resistant, a properly cleaned and waxed hull will glide through the water more smoothly and with less resistance. Our exterior boat restoration service can bring a badly maintained gel coat back to a gloss and shine like new or better. 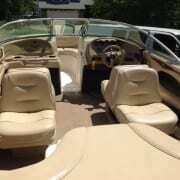 Our interior boat detailing services will bring back a neglected interior as well. Regular boat detailing is a must to maintain your boat’s appearance, keep it functioning well, and preserve its resale value. 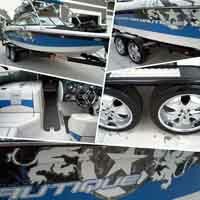 Call, text or e-mail us with any questions regarding your boat or any other marine detailing needs you may have. 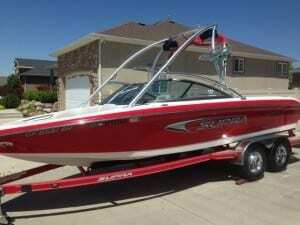 We offer a wide variety of boat washing and detailing services.